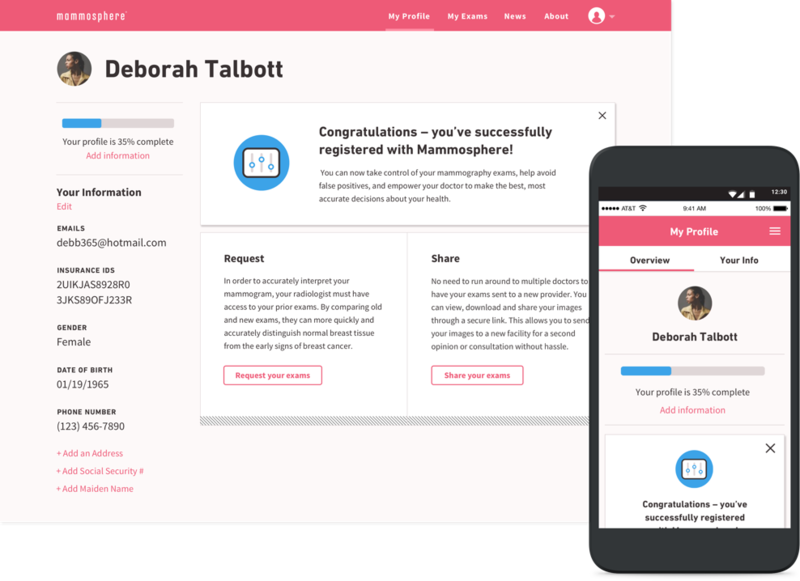 Empowering women to take control of their breast health care with Mammosphere. 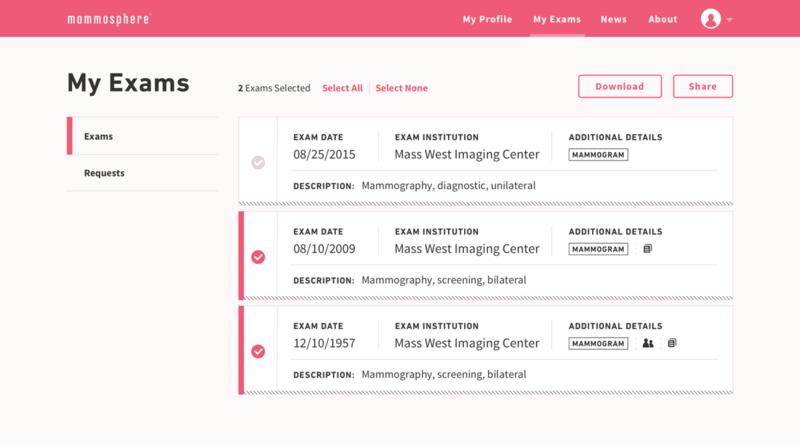 LifeImage, with DockYard’s help, set out to reduce the stress of managing breast healthcare and navigating antiquated patient data processes. 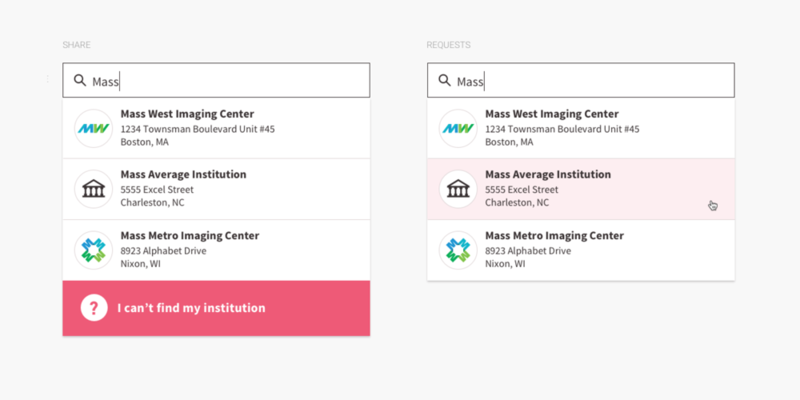 Mammosphere is an intuitive and accessible application that puts patients back in control of their information. During early discussions with LifeImage, it became clear that this product was going to encompass a wide range of interactions both on and off screen, touching upon multiple user types. 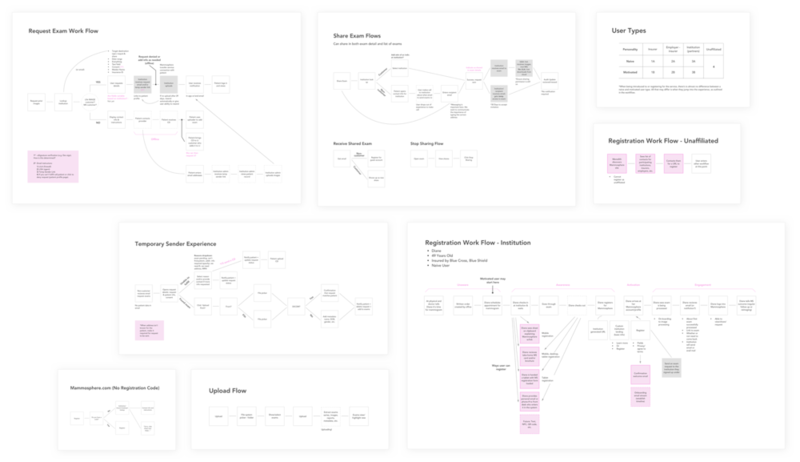 DockYard researched the project scope and identified user types, creating flow maps for every major action users would take. For the most common user, interactions with the product take place over a long period of time (due to the nature and frequency of appointments). This meant that touch points from the product had to exist, but couldn’t persist with a frequency that would contribute stress. Striking a balance here was key. Often, when preparing for an appointment, imaging facilities need recent exams so radiologists can understand a person’s medical history. Traditionally, this process is challenging and includes users calling different facilities to track down their exams. Mammosphere aims to alleviate this stress by handing control over to the patient. 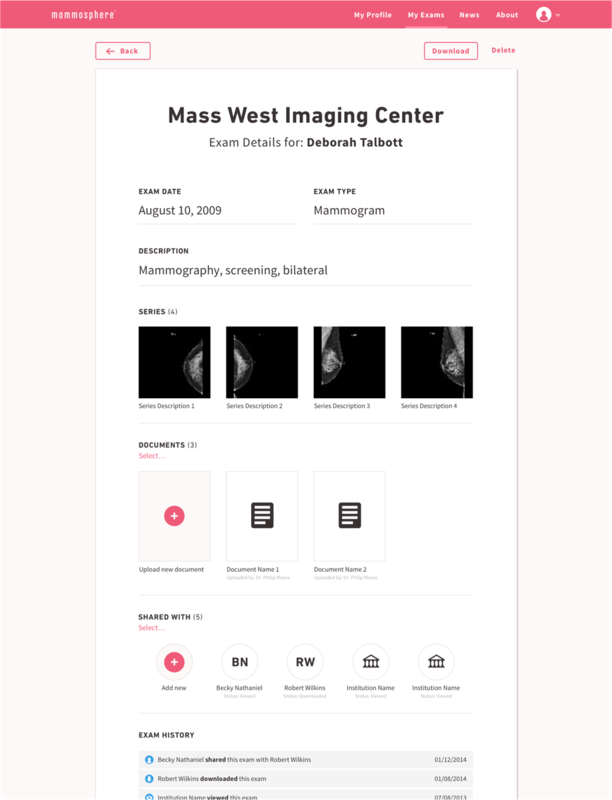 To this end, DockYard supported design features that allows patients the ability to easily share and request exams in an extremely secure environment. DockYard designed the flow for sharing and requesting exams to be as simple and straightforward as possible: no frills, no distractions. The core of this application is the record of the exam itself. Traditionally, exam results can be poorly organized, difficult to read, and inaccessible on the web. The work DockYard did changed this, creating a layout that organizes content in a way that is digestible and clear, while at the same time making features like documents and sharing readily accessible. Stylistically, we optimized for user comfort and familiarity by following some of the conventions from paper-based medical records. Designing it to feel like paper (but better!) helps to preserve trust, while keeping the user comfortable. To ensure a smooth handoff to an external development team, DockYard made sure that all design elements and guidelines were clear and well documented. DockYard provided a comprehensive style guide that anticipated the creation of more features down the road. This allowed the project to continue through to the implementation phase without standards-related delays. I had fairly high expectations for DockYard, but I’m happy to report that they absolutely exceeded my expectations. A major issue with current storage of examinations is reliability. 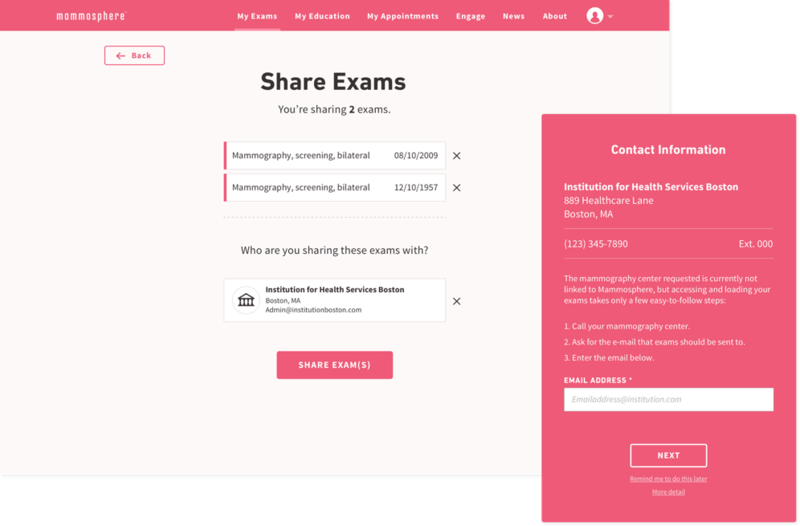 Mammosphere aims to be the home of all patient information when it comes to mammograms: secure, accessible, and easy to use. DockYard provided a robust solution, while balancing complex sets of user needs, stakeholder requirements, and system regulations.